SimCompanion leverages natural language for searching across all 7 content channels – including attachments – thus finding content quicker. *Note that you can use multiple filters at the same time. Stay connected proactively with SimCompanion through subscription options. 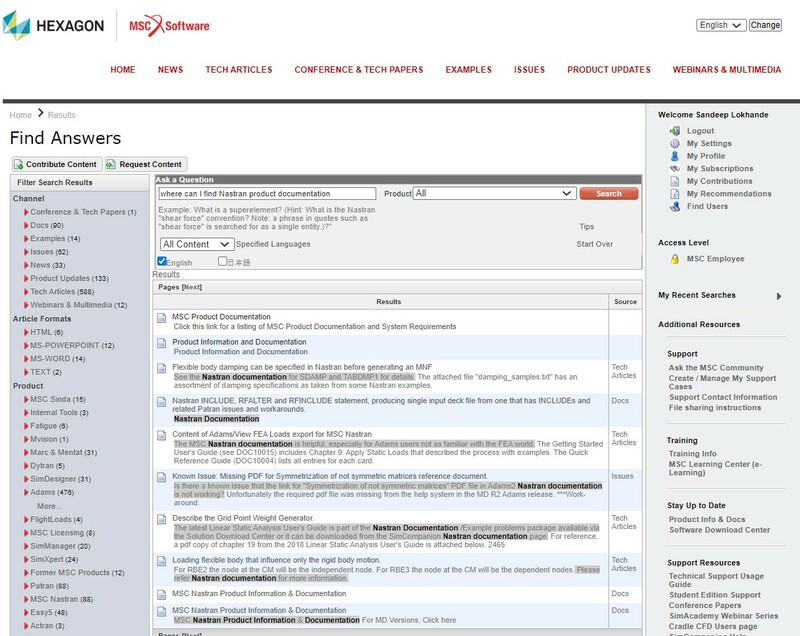 SimCompanion will notify you proactively when content of interest to you is created or updated. You can even subscribe to articles of your interest. 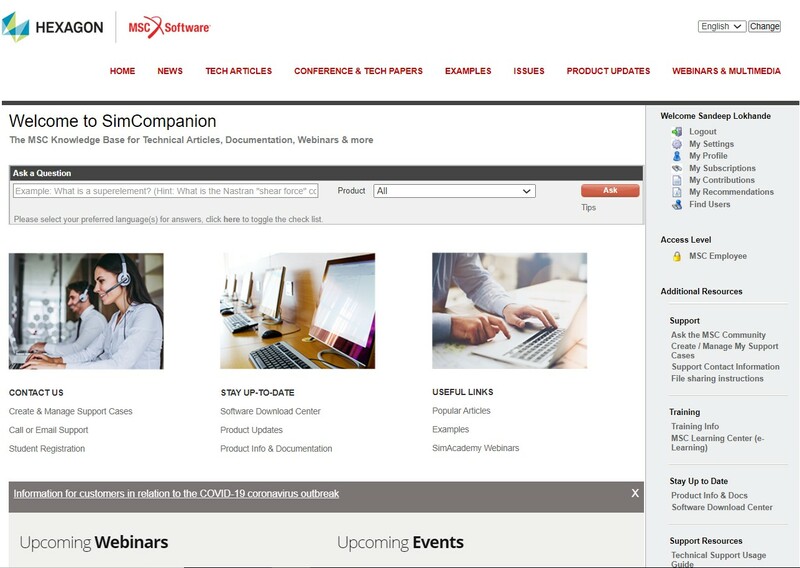 MSC appreciates your feedback regarding your overall experience with SimCompanion, search, and article content. 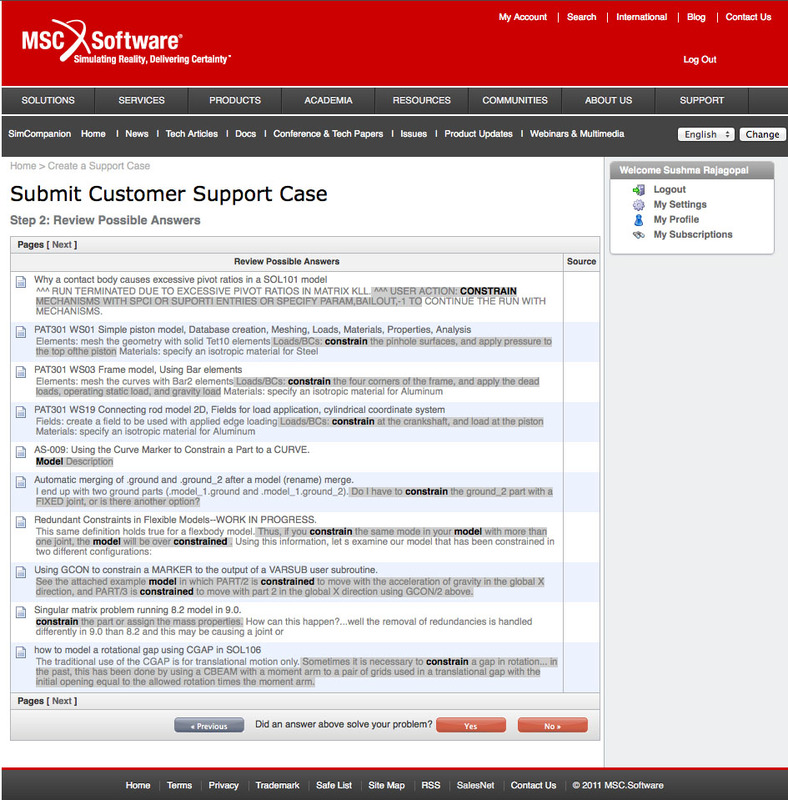 Please help MSC better serve users by providing your feedback.